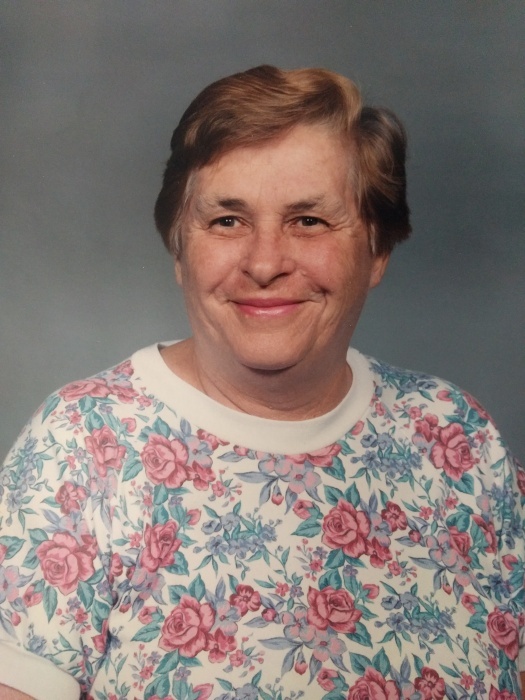 Obituary for Grace R. Robinson | Holloway Funeral Home, Inc.
Mrs. Grace Ruth Robinson (née Anderson) passed away on November 30, 2018 at Suncoast Hospice in Palm Harbor, Florida, surrounded by her loving family. She was 85 years old. Grace was born on February 28, 1933, in White Plains, New York. She was named after her beloved Nana, Grace Locke Bell. Grace’s father was John Louis Anderson, a civil engineer. Her mother was Dorothy MacGregor Bell. Together with her two sisters, Joan and Doris, Grace spent her childhood making mischief in New Rochelle, New York, although many of her summers were spent at Lake Candlewood, in Connecticut. In 1952, Grace graduated from New Rochelle High School. Grace was especially proud of successfully completing her school’s hairdressing program, and throughout her life she would always offer free haircuts to her friends and family. After high school, Grace married Stuart Ivon Robinson, a Private in the U.S. Army who distinguished himself in the Korean War. They settled for a brief time in New Hampshire, where Deborah and Stuart were born. Soon Grace convinced her husband to move out of the hills and back into “civilization” in Connecticut. It was in Brookfield, Connecticut that Grace and Stuart had two more children, Bruce and Valerie. When Grace’s parents moved to Florida, Grace decided that she’d had enough of cold Northeastern winters. She packed her car with her children, dogs, and some peanut butter for the road, and made her way down to Pinellas County. It was here in Pinellas County, and especially Oldsmar, that Grace lived for almost 50 years. Grace worked variously as an usher, mail carrier, waitress, live-in help, crossing guard, laundress, and manager at the Kapok Tree. Somehow, Grace found time to volunteer for the city of Oldsmar, attend City Hall meetings, read to her grandchildren’s class at Oldsmar Elementary, bring banana bread to her son, and frequent the Women’s Club, where she would play cards. But Grace was most proud of her work as a mother: she was a parent not only to her own children, but to foster children, her grandchildren, and any child lucky enough to find themselves within her domestic sphere. Grace loved people, and she was overjoyed that, throughout her life, there was never a day where she was not with family or friends. Grace’s children, grandchildren, great-grandchildren, great-great-grandchild, nieces, and nephews all have fond memories of her, as do countless friends and neighbors who have had the pleasure of knowing her; whether she was Mom, Mema, Aunt Grace, Grandma, or just plain Grace, Mrs. Grace Robinson will always have a special place in everyone’s hearts. If you had the privilege of knowing Grace, please celebrate her life. Take a sip of Coca-Cola, her favorite drink; sing along to an Elvis Presley record, as she loved to do; work in the garden, as she always would; or find a quiet spot, with your family or pets near you, and relax with a nice book, as Grace always enjoyed doing after a long, busy day. Grace Robinson knew how to find enjoyment in every moment of life, and she’d want the same for her friends and family. God bless you please, Mrs. Robinson. We will miss you every day.